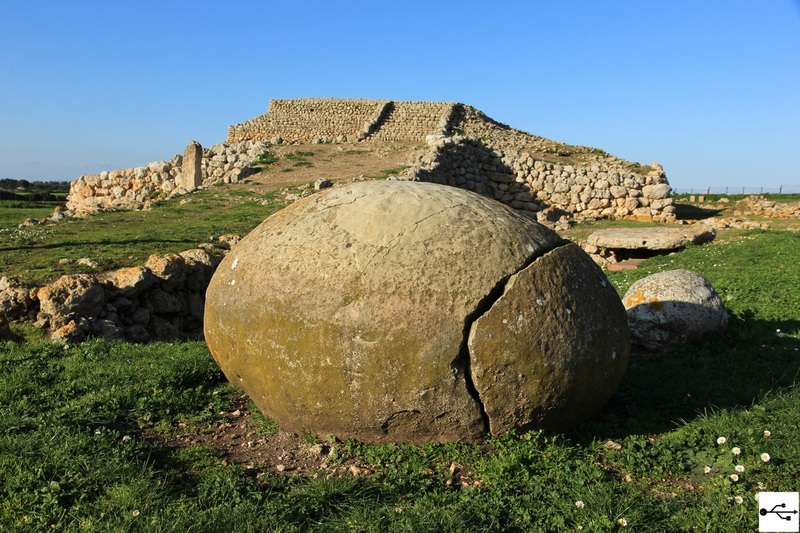 Mount Accoddi, the Resort sanctuary prenuragic age, 11 km from Sassari(Italy). The agglomeration is built around a pyramidal tower, very similar to a temple in eastern ziggurat, on which the remains of offerings were found, a sacrificial stone table and two menhirs. Around the tower footings of huts have been found, probably used by pilgrims. For the concentration of different types of construction, the monument is still considered unique not only in Europe but throughout the Mediterranean, so singular as to be united morphologically to a Mesopotamian ziggurat. The complex is located within a portion of land that records a significant presence of distant prehistoric monuments, among them a few hundred meters. Among the most important to report, as well as Mount Accoddi, the necropolis of Su Crucifissu Mannu, Ponte Secco, Li Lioni, Sant’Ambrogio, On Jaiu, Santa and Marinaru Spina, dolmens and menhirs of Frades Muros, in addition to a ten nuraghi. The monument, unique in the Mediterranean basin, was part of a complex era prenuragic, developed on the plateau in the second half of the fourth millennium BC and preceded by attendance traces related to the Middle Neolithic. In a first step settled the area several villages of square huts belonging to the Ozieri culture, to which it relates a necropolis with subterranean tombs Domus de Janas and a nearby shrine with standing stones, stone slabs for sacrifices and stone spheres. Later, people also belonging to the Ozieri culture built large elevated platform in the shape of a truncated pyramid, which is accessed via a ramp. On the platform it was erected a large rectangular room facing south, which has been identified with a temple structure, known as “Red Temple”, as most of the surfaces are plastered and painted in ocher; They are also present traces of yellow and black.